still in a sad state over this happening… your words put things in a good perspective. vins, got inspired by you. ive written my first dedication to 3WW. 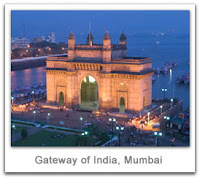 are you going to the gateway of India today? Absolutely a great perspective on this situation Thank you for sharing. thanks so much! yeah, v r very sad, but angry and ANGRY as hell…India stands united in fighting against this ‘unnamed’ terror attacks! India as well as other nations can only rest in peace once these ‘unnamed’ forces r dissolved. Hence, pls help spread the cause..
well,i could only support mentally..my prayers were there! ThomG, thanks Sir!! BUT the pleasure is all mine! ST saar! thank u ji..kyon na aap bhi thoda try mare?? Well written, you have brought out “MUMBAI” very well in this poem. @senorita: i agree completely after the gateway gathering..all our prayers r slowly getting answered! still, lets keep up the momentum, gal! Vin- Gr8!!!! Cud u teach me hw 2 write poems in addition 2 hindi??? and ma xam i.e one and only xam s on 20!!! I sent it to few news papers here and don’t know its due to that or some other reason but there is a news in paper for this 49-0 thing.. with reference to local election officer.. whatsoever may be the reasons but its encouraging..
sawan – I should have posted it there in your blog but good effort dude..
sen – you are on track for review writing 🙂 whatever happened to number crunching gurl ? Sawan saar…sorry yaar! jus mail me whenever u want me to come on chat..or pray hard..i’m sure to get the waves! it happens between me n a few close friends..we too will try, ok? Karthik saar, thank u, thank u!! like ST says, it cant be taught, even i dont know how the words come, but i know they dont come from the ‘mind’…so it must be the heart!! BTW, did u read ST or Sawan’s blog which talks about our Right to not vote?? a section 49-0..pls do and help spread it to all ur ppl…distribute it in ur college too..go to ur local newspapers too..since u have finished ur studies and now waiting for last paper…pls do this much. P.S. u forgot to read my previous post- its a letter to the editor..u too could modify it with Chennai newspaper name and send to them..all u youngsters should start a movement now..n yes, All the best for the 20th !! a friend has reverted with that 49-0 section mail…he has a query : “As I’ve been reading across, I’ve found that there is no re-polling in 49-0.Please check. even as we r typing this..ur 49-0 has become a rage..i’m seeing it more n more ! !good going, man..keep it up!! Lovely perspective! Within sadness, there always seems to be another window with some light shining outside. Impressive the way you combines the prompts to make a beautiful tribute poem..
vin – yeah there is indeed a debate on re-polling thing. check out http://en.wikipedia.org/wiki/49-O and it suggest that while it is raised in supreme court but no clear indication of after effects… I checked with ECI (www.eci.gov.in) website and there are clear indications that such article exists but what will happen after is not clear.. I am still on the research in whatever time I am able to spare from my naukri!! will keep you guys posted..
okay.. posted an inquiry to ECI about 49-0.. though there are least chances to get a reply but let us see..
Vin, i was just kidding expecting sme funny answers frm you reg Poet teacher!!! It comes naturally!! and Chk ma brain Updates, i’ve read Scattered thoughts post on NOT 2 VOTE!! I read ur previous post Vin bt failed to comment on it!!!! ST, lets hope this 49-0 re-polling thing is cleared soon!! ur efforts during hectic work is commmendable. keep it up!! n yes, Keep The Fire Alive!!! P.S. pls request Sawan saar to post his older poems from diary onto here!! btw, his blog reflects just 10% of him! thats OK! India Today has taken a pledge..War on Terror..even 1 newspaper following its true purpose of being is enough. Thanks for sharing such a heartfelt poem. I am sorry for what happened recently in Mumbai. I think it’s sad to lose such a variety of unique people. Hope you can find strength in your words and words of other poets. Have a nice day. I liked this piece alot! It was powerful. One more believer: thank u! pray every little voice is heard..
Sawan saar, even ur mallu will look so poetic — v will automatically understand it!! why dont u try translation though some of the essence would be lost in translation!! sawan – dont worry.. I am sure vin can translate that for us.. and like she said.. why dont you do it.. I saw your poem on 3ww and it was nice indeed..